Head to Namsan Mountain on a clear day for some of the best views of Seoul! 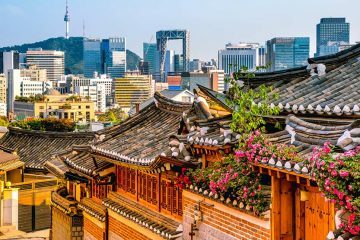 Seoul, the capital of South Korea, is a fast-paced, modern metropolis with interesting cultural heritage and centuries of history just under the surface. 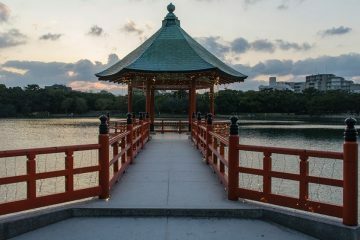 We’ve outlined some of the top things to do in Seoul so you can get a taste of this amazing city. Namsan is Seoul’s largest park and is quite a popular place to visit for locals and tourists alike. The park contains Namsan Mountain with its hiking trails, numerous tourist attractions and some of the best views of downtown Seoul you can find. It’s a great place to head if you are craving nature but don’t want to leave the city. You can hike from the base of the mountain to the top, which features an observation tower called N. Seoul Tower. 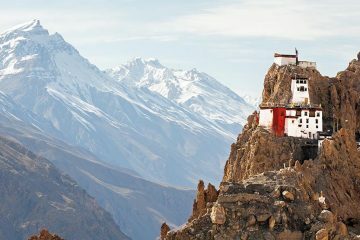 Alternatively, if you want to enjoy great views on the way up, or aren’t up for huffing it, there’s a cable car available. 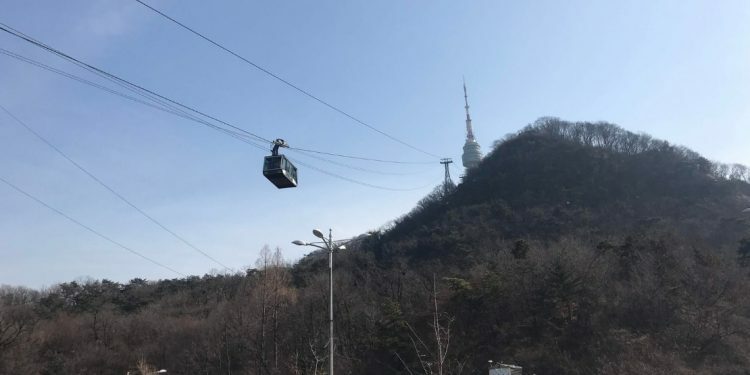 If you are heading there for the views, the peak of the mountain or the top of N. Seoul Tower are the best places to head. Up top you’re bound to run into several couples sharing a romantic evening and possibly placing a love lock on the railings as visiting the mountain is a popular date night destination for young Seoulites. There are several restaurants at the top including a revolving restaurant with great views. You’ll also find numerous photo op locations and other interesting attractions. Sunset is a great time to visit but it’s beautiful any time you go. Among the many Seoul attractions, the various historic palaces are some of the most popular points of interest. There are four main palaces: Gyeongbokgung, Changdeokgung, Changgyeonggung and Deoksugung, as well as a shrine known as the Jongmyo Shrine which houses the ancestral tablets of Seoul’s ancient Joseon dynasty kings and queens. 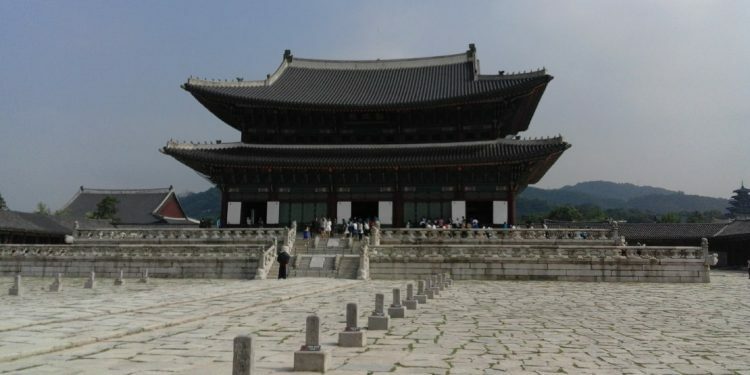 If you only have time to visit one of the palaces, the two most popular are Gyeongbokgung and Changdeokgung. Gyeongbokgung is the oldest of Seoul’s Joseon palaces and perhaps the most representative of the dynasty. Nearby Changdeokgung Palace is a designated UNESCO World Heritage Site and is notable for the amount of nature that you’ll see throughout. You’ll want to make sure to get there in time to participate in a tour of the palace’s Secret Garden. The tours are offered several times daily in both English and Korean and are only available with a guide and separate ticket (palace entry is required). A combination ticket is available if you wish to visit all four palaces and the Jongmyo Shrine during your trip to Seoul, so check that out if you want to save a bit of money. 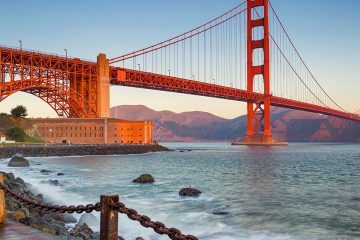 Balancing the hip and historic, there are so many entertaining things to do in San Francisco. Here's how to get the most out of your time there. 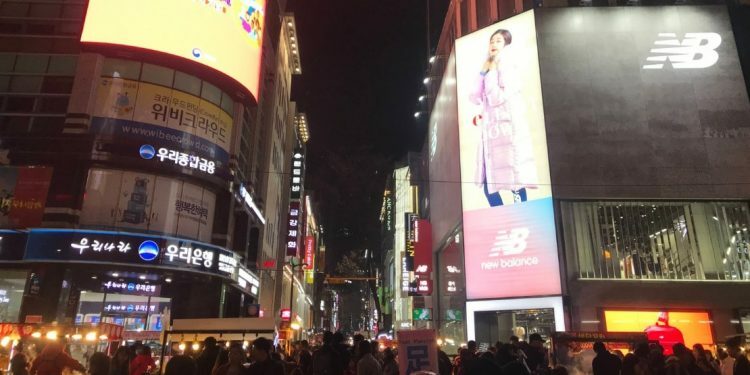 Seoul is known around the world for offering amazing shopping opportunities. A variety of shopping experiences, including markets and luxury malls, are available all over the city. Myeongdong is an eclectic shopping area with high-end luxury shopping where you’ll find top-of-the-line fashion brands from around the world and more Korean cosmetics than you could ever find use for. You’ll also find lots of street stalls selling trendy street snacks. If it’s more traditional goods you are after, Insadong is a great area with a nice pedestrian street. The handmade hanji paper is a popular item to pick up here, and you’ll also find beautiful Korean art for purchase. 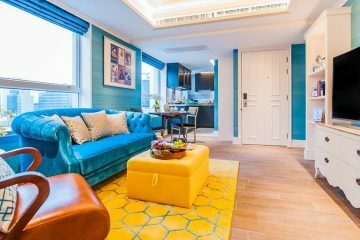 Make sure to relax awhile in one of the many teahouses lining the main street, or enjoy a traditional Korean meal in one of the Korean restaurants found here. Namdaemun Market is one one of the best places to head for market shopping. The market is the largest and oldest in Korea, and was established way back in 1414. Many of the stalls are outside, but there are also many shops lining the narrow streets. Namdaemun is a great place to shop for traditional goods, souvenirs and housewares.